If you'd like to see, a few more pictures are up on Windsor's site, as well as a few of my clothing picks here! wow you look amazing and great styling! You look so darling! What a cool opportunity for you! so awesome. You are totally a model -- I don't think I would be very good at it. talent my friend, talent. THAT FIRST PHOTO IS GORGEOUS SYDNEY! DON'T BE SO HARD ON YOURSELF..YOU DESERVE IT YOU ARE BEAUTIFUL AND WONDERFUL..CLICKING ON THE VIDEO NOW! Windsor was smart to get you! You are beautiful, I just love your blog! you look gorgeous! LOVED the video...what a fun keepsake! i remember we used to have a windsor in our mall back when i was in high school. i don't think we have any close by in southern ca anymore. cute stuff! i love these red shoes you are sporting! great job Sydney! Sydney, you are GORGEOUS! And totally model status! Loved looking at those pictures, and the video! Looks like a load of fun! Glad you loved California. You ARE a model. You look beautiful and loved seeing the behind the scenes video. Gorgeous! Aw this makes me miss California so so much! I love you as a brunette! You look great! Awesome pictures! Your eyes are stunning. You rocked that! Im sure you helped them have such a great time too! Oh my gosh, you look gorgeous! What an amazing opportunity! Oh hey girl heeeeey. Look at you! Gorgeous. you look amazing girl! i love that first skirt and those floral pants!! You look Fabulous Syd! I saw you on their website over the weekend and could not wait to be able to tell you how Beautiful you looked! I am so glad you were able to go and enjoy this experience, and how fun this must had been! Do not ever be too hard on yourself, just look at these pictures! Model for sure!!!! What a blast! You look gorgeous as always, Sydney! AMAZING!!! huge congratulations - it all looks awesome and loving the shots on the site too - you must be so proud! You look gorgeous in all of these pictures! oh my goodness those photos are gorgeous! and that video! how cool! you are beautiful. This is so cool! You look absolutely gorgeous, congratulations on such an awesome opportunity. PLease tell me you are being sarcastic because you are such a model and these photos are amazing!!! You have some natural talent..and seriously I was shocked when I found out how short you are because you know how to rock it!! Lovely pictures!! As ALWAYS! Love you! Wow, you did a great job! What a fun experience! That's a gorgeous video!! I really like it! and those pictures are beautiful too!! I really like the outfits! love the last outfit! printed pants, i want to try them out but i am still a bit hesistant--and the video is simply amazing! Gorgeous! Such a great opportunity, best of luck for many more! Great pics! You look amazing. It must have been real fun to do this! Gorgeous photo's!! Nowhere near a model?!! Well, I would say; there are a million girls out there who couldn't do this kind of thing better than you!! Great job girl! Wishing you an excellent week! You look so adorable! I love the floral pants! Sydney you add a touch of class to Windsor's clothing line! Nice work. Sydney you def look the part of a model. What a great shoot! The only thing that would have made it better is accessorizing in little E! You are so a model Sydney! Gorgeous!! You look amazing, you totally rocked it! You did such a great job, Sydney! The music used in the video is one of my favorite songs ever. :) And I love those color block heels. I think you make a beautiful model! You are a star Sydney, in case you didn't know it already. girl, you ARE a model. Wow!!! That is so cool!!! And you are totally a model! Great job, congrats!!! Oh my gosh, your eyes look so blue in the pictures! And I love the ones up on the windsor site! You look so so beautiful! girl you are a glamour queen. Love the photos, you look so glamorous! wow, great looks! love all the shoes! It's so interesting what professional makeup and styling does, because you always look beautiful but in these shots I'm not sure I'd have recognized you as you right away. Fun adventure though. you definitely rocked the modeling part!!! Amazing!!! What a great experience! Sydney, thank you for being such a great example of modest style. I'm so grateful to have your blog as a resource! Yesterday I read your post (from a long time ago) about finding your personal style and 1) have added Alexandra Stoddard's book to my list of must-reads, and 2) was so reassured by the fact that you weren't just born with incredible fashion sense--you have to work at it just like the rest of us. This was a total breath of fresh air for me, because I often get in the habit of thinking that if it doesn't come easily, I should just give up. Since I had my first little baby four months ago, I've gone through a major style crisis. Sweatpants are just too easy to put on in the morning! But you have helped me remember how important it is to feel beautiful--yes, emotionally but also physically. So thank you for pursuing elegant, up-to-date style that also covers your body. You're a great example to thousands of women. That must feel so good! don't be silly, you look fantastic! You are the prettiest girl in the world. The end. Love the photo's but I think Tyson's photography and your editing is WAY better!!! that video is absolutely adorable! and that first photo is my favorite!! You look absolutely stunning, Sydney. You're doing a great job, it's refreshing to see real people model, even if you look like a model! 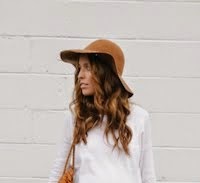 One beautiful mama and the styling looks amazing! These pictures are gorgeous! I just recently found your blog, like last week I think. I've been reading some of your A&A - Oh my gosh, I'm dying, I'm literally cracking up in my cubicle - pretty sure my co-workers will be coming over any second to see what my problem is! i LOVE that you're willing to share those awkward but hilarious stories! The "awesomes" are pretty great too! You make the best model ever! Love all the looks in the video! you did great! and looked beautiful! i would have been so awkward! the first image of you with the black, white, red, and clear vibrant skin is especially stunning! These pictures are gorgeous! I love this skirt in the first photo. What an awesome opportunity! You're such a babe in all the photos! Love the floral pants. you are absolutely stunning Sydney! Such an amazing looking shoot. Hope you had fun! I saw the Hollywood picture on Pinterest today and I had no idea that was you!!! What an awesome experience! You are one lucky girl! WOW! Amazing photos and video. You deserve it girl!!! You look amazing! I'm Mormon too! That chevron skirt is so eye catching! How fun and what a great experience! You look beautiful! Random question, I love the basic black t-shirt you are wearing with the skirt and floral pants but couldn't find it on the Windsor store website. Could you please share where it's from? Thanks! gorgeous!!! what song is that featured on the video? Beautiful photos and such a fun video! Thanks for sharing! these red shoes its so wow!! You look fabulous! I loved the video so much. :) Congratulations on this! What a great experience! Bath in the glory! So cool! You look lovely. And I can't get over that stripey skirt! Seriously you amaze me! Every time i stop by you look unimaginably gorgeous and always seem to be doing fun things! The skirt from the top photo is perfection! OMG- looks like so much fun. I would die for the opportunity to do something like this. Awesome! you look so amazing in all these and you just had a baby, wow you really are one mega mom! lovely first look and the one on the bench, super stunning!! You look so great in the photos and video! Love it.